During 2015-2016 IBSurgeon and the Moscow Exchange sponsored the authoring, in Russian, of step-by-step examples for newbie Firebird developers, with databases in 2.5 and 3.0 format. The work included full source code and parallel examples in Delphi, .Net desktop, .Net MVC, PHP (based on Laravel) and Java (Jaybird 2.x). The main work was done by Denis Simonov, who previously edited the Russian version of the Firebird 2.5 Language Reference that was translated into English and published last year. 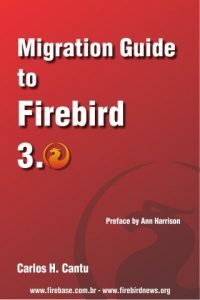 The Firebird Project’s 2017 project is to translate this work into English, edit and review it and publish it as the Firebird Developer Guide in the project’s documentation library. For this project, as ever, we need funding. This is your opportunity to make it happen, by contributing whatever you can to our crowdfunding campaign. To donate, go to here and click the donate button.